Too busy to attend? Don’t worry – we record and upload our webinars below. 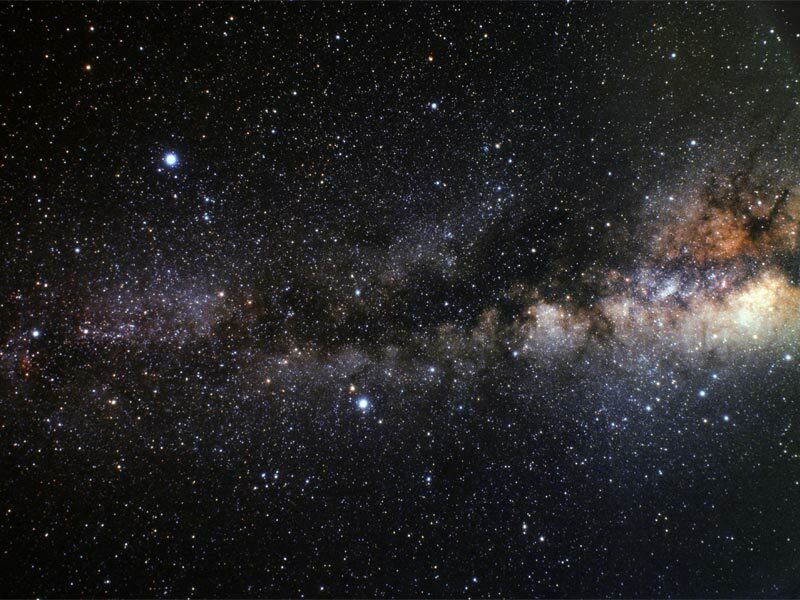 What’s the most common thing in outer space?…it’s SPACE! Our solar system is enormous, and the size of and distance between the Sun, planets, asteroids, and comets can be difficult to comprehend. 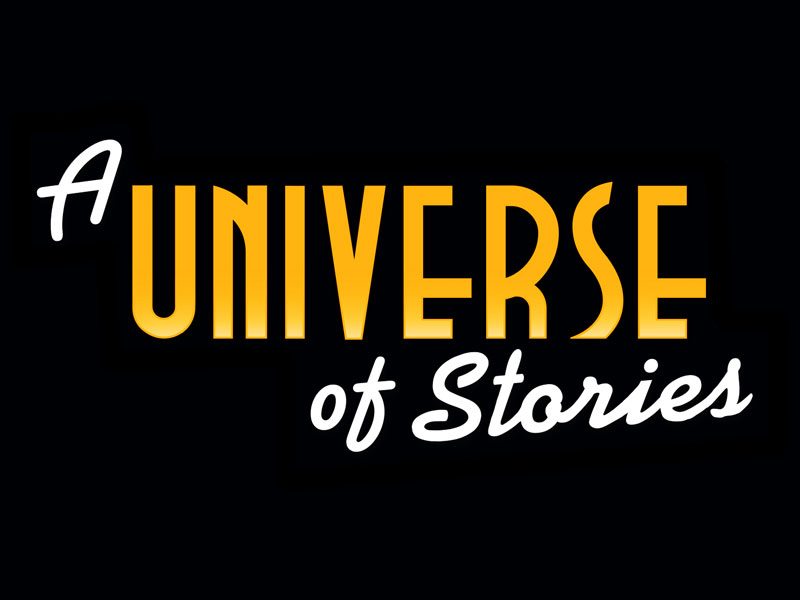 With “A Universe of Stories” right around the corner, this webinar will highlight activities that allow patrons to experience the vast distances between objects in the solar system using foods or household objects. You don’t have to be a rocket scientist to facilitate these activities; in fact, they’re affordable, simple, and easy for anyone to run! Note: If you have any problems viewing the webinar, please email Brooks Mitchell for assistance. 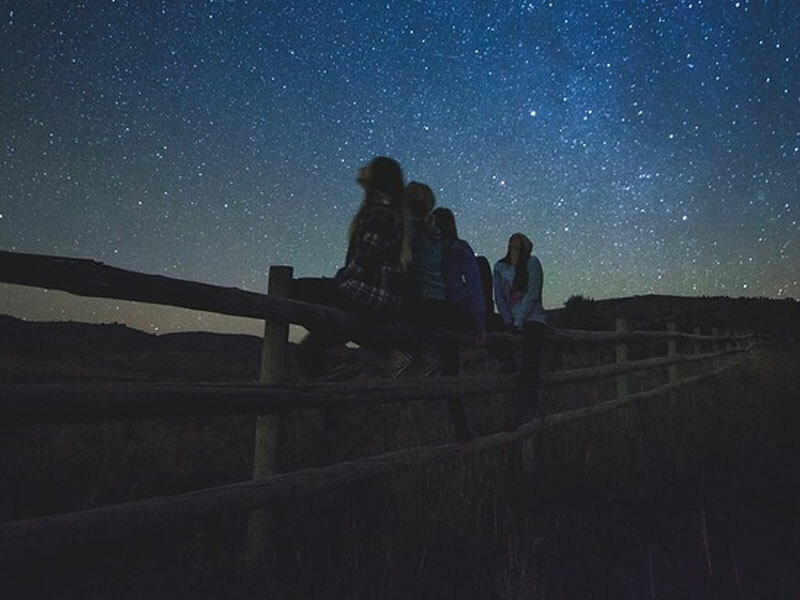 In this webinar, conducted by NASA’s Night Sky Network, librarians from across the U.S. joined NASA@MyLibrary, the NASA Solar System Ambassadors, and the Night Sky Network astronomy clubs to access resources and astronomy enthusiasts in their communities. 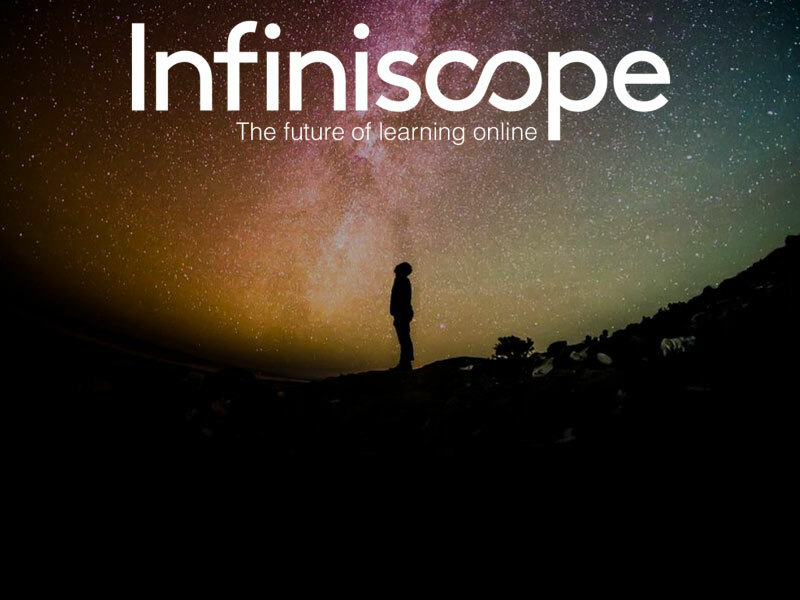 Please join the Space Science Institute and Arizona State University in a special webinar opportunity, featuring Infiniscope. Librarians from the STAR Library Education Network, and librarians, teachers, and other educators from the Infiniscope Network are welcome to join us for this opportunity. 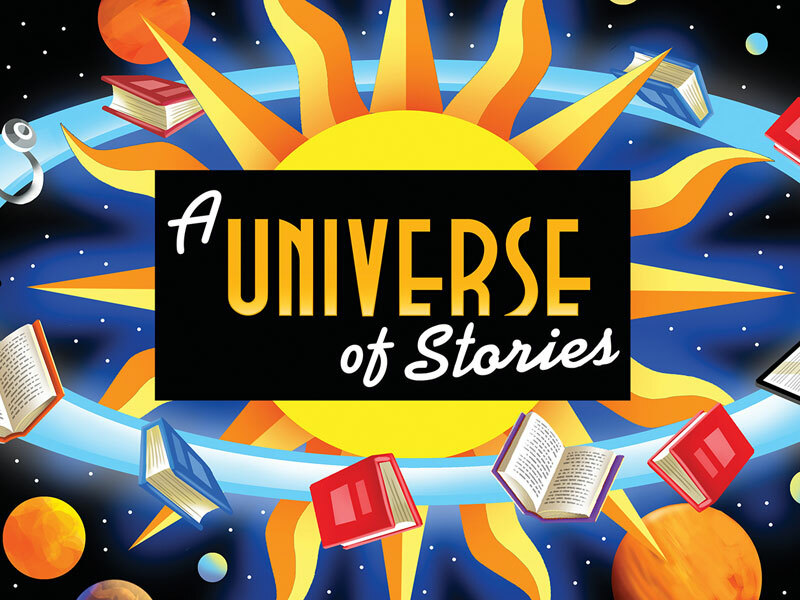 Teachers interested in working with libraries can learn more about this summer’s Universe of Stories summer reading theme, and librarians interested in learning more about Infiniscope’s visualizations and learning experiences are welcome to join. Participants will also learn how they can partner with each other for the 2019 Summer Learning event and beyond. Looking for cheap, easy, accessible, and FUN hands-on experiences for your patrons this summer? Are you trying to spice up your normal craft and make and take activities with a space science theme? If so, then this is the webinar for you! 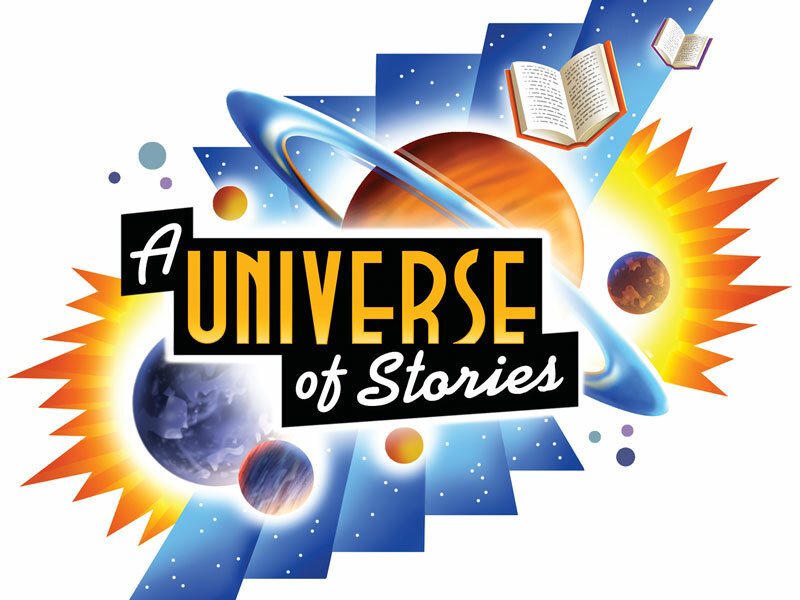 Join us as we take a look at several different activities from the STEM Activity Clearinghouse Universe of Stories Collection that are hands-on, easy to facilitate, and sure to inspire curiosity. Looking for activities, websites, how-to videos, training, and more for the 2019 Summer Reading Theme? Join the STAR Library Network for an overview of vetted, free resources available through NASA, the STAR Library Network, and the STEM Activity Clearinghouse. Presenters will walk you through how to find, access, and sort through – remember, availability doesn’t always equal accessibility! – these resources and offer guidance on how your library can best utilize them! 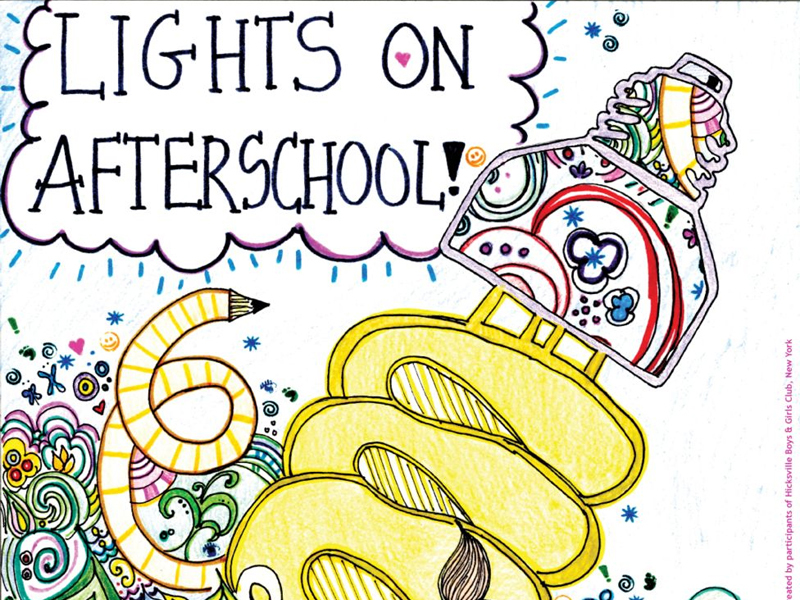 Launched in October 2000, Lights On Afterschool is the only nationwide event celebrating afterschool programs and their important role in the lives of children, families and communities. The effort has become a hallmark of the afterschool movement, and on October 25th more than 8,000 Lights On Afterschool rallies will be held across all 50 states and the District of Columbia, attracting more than 1 million Americans and garnering media coverage nationwide. Join us for this webinar to learn more about Lights On Afterschool, and how your library can participate. Girls STEAM Ahead with NASA (GSAWN) initiative is again partnering with public libraries to provide NASA-themed activities for girls and their families. 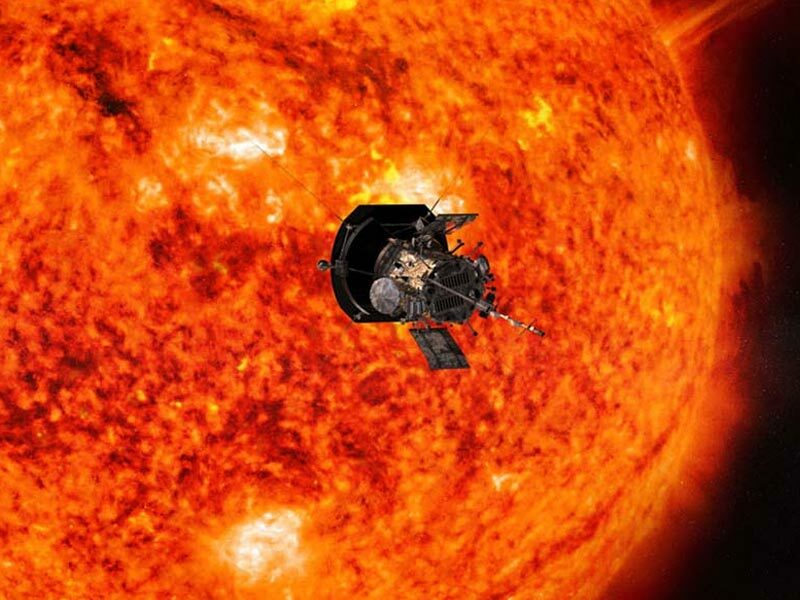 Part of the NASA’s Universe of Learning program, GSAWN resources include a range of computer-based and paper-based activities, along with exhibits and poster series. 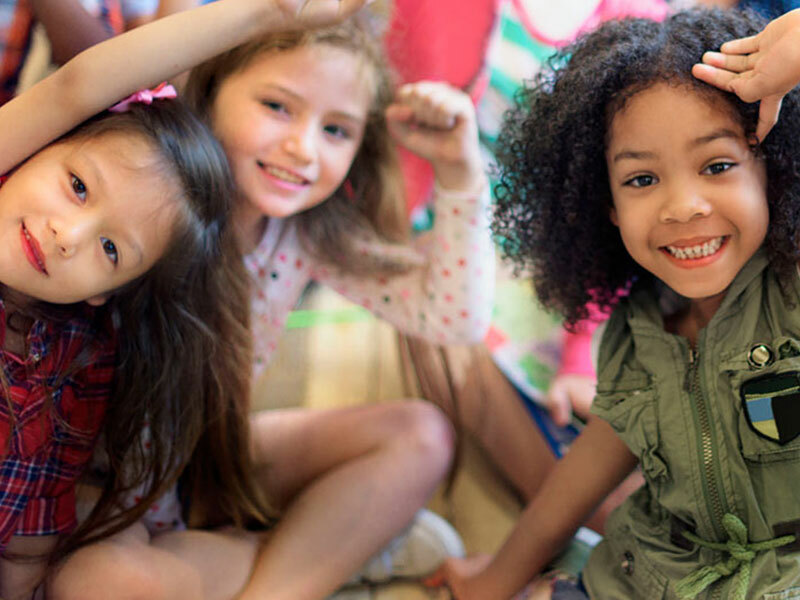 During this webinar, you will hear about the GSAWN project, why girl-serving programming is important and needed, and the range of resources available to your library. There will be time for questions so we can address any concerns and best support your library efforts. 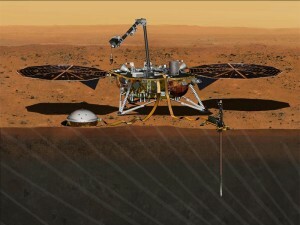 On May 5, InSight will begin its six-month journey from the coast of California to the plains of Mars. 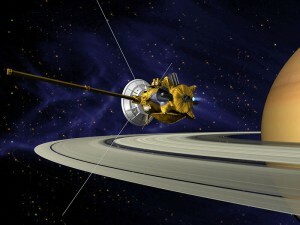 Once it lands, it will use seismic instruments to explore the interior of Mars in ways that we’ve never “seen” before! Join the STAR Net team and guest presenter Steve Lee (Denver Museum of Nature and Science and Space Science Institute) to learn all about this exciting, innovative mission and fun ways to celebrate its launch and landing at your library! In its 60 year history, NASA has spent a great deal of time looking outward to find and learn about planets in our solar system and beyond. 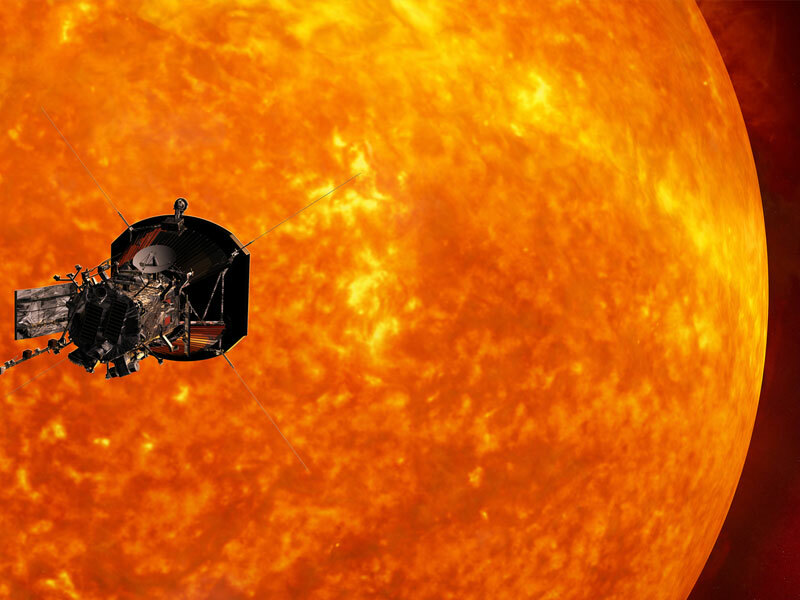 This Earth Day, however, our focus turns to the numerous NASA missions that study the planet that we live on and help us understand the Earth’s complex, dynamic systems. Join STAR Net, Marilé Colón Robles (NASA) and Jessica Taylor (NASA) to learn how you can celebrate Earth Day with NASA with programming ideas for children, teens, and adults! The Public Library Association’s field-driven initiative, Project Outcome, is a FREE online toolkit offering an innovative and easy-to-use platform for public libraries to measure the impact of their programs and services. For more details, click here. 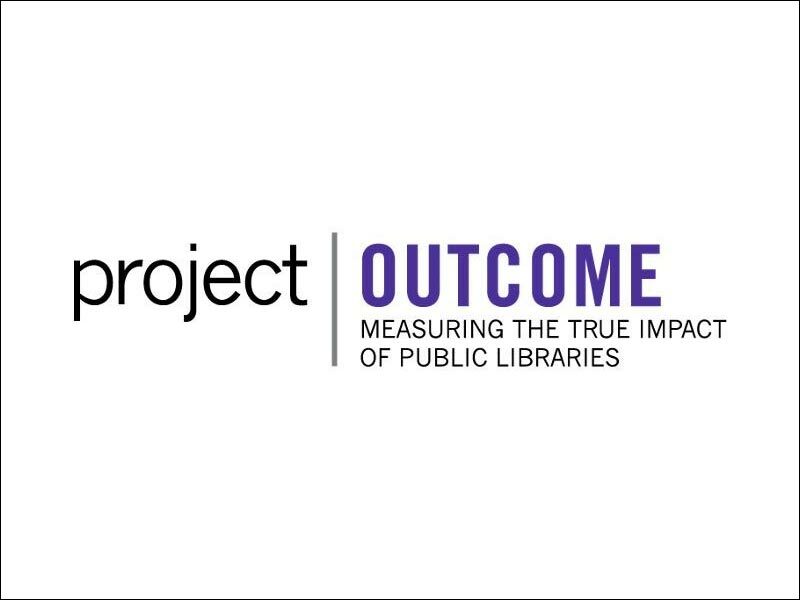 This webinar provides an overview of the toolkit and examples of how libraries have been able to benefit from using Project Outcome. 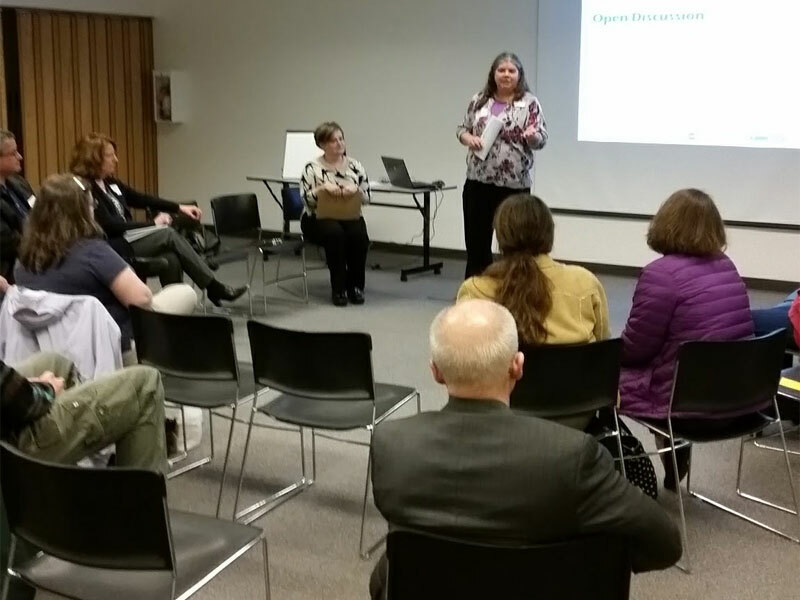 Additionally, staff will share STEM specific questions available to libraries within the toolkit and allow time to discuss outcome measurement needs for STEM programming. From the sidewalks that we walk on to the buildings that we work in, engineering is all around us. 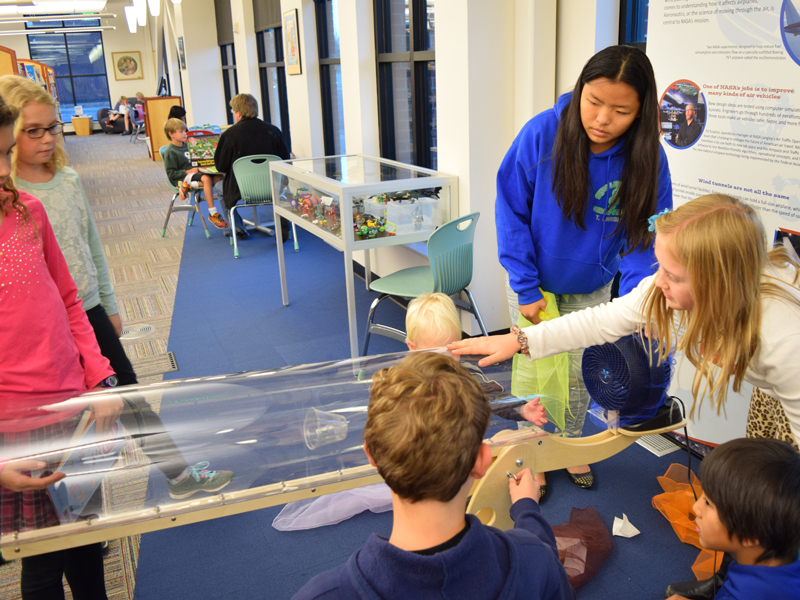 From February 18-24, your library will have a chance to learn about the importance of engineering and bring it to life for kids, educators, and parents in a week-long celebration known as Engineers Week. Join STAR Net to learn how YOU can bring engineering to your library during this exciting week-long event. 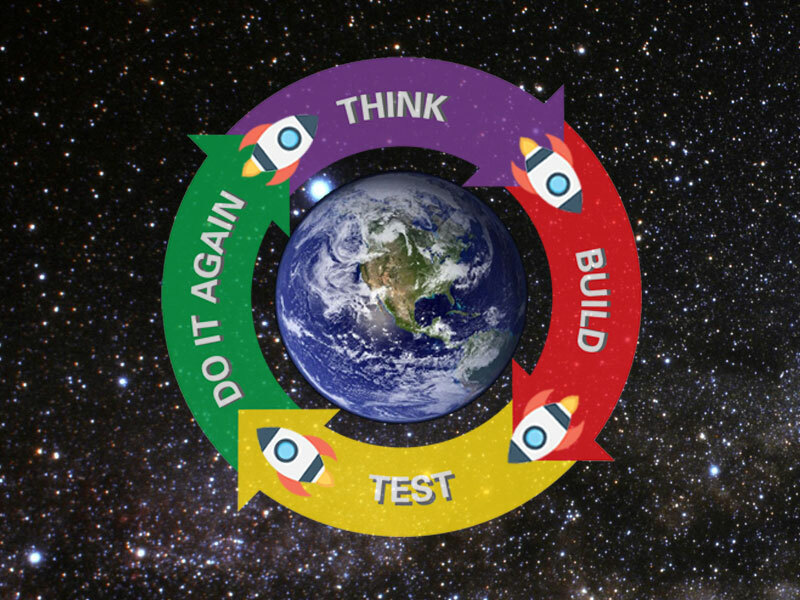 We’ll go through several hands-on activities from the STEM Activity Clearinghouse that showcase how much fun it is to think, build, test, and do it again and will also learn why, when it comes it engineering, failure can be a good thing! 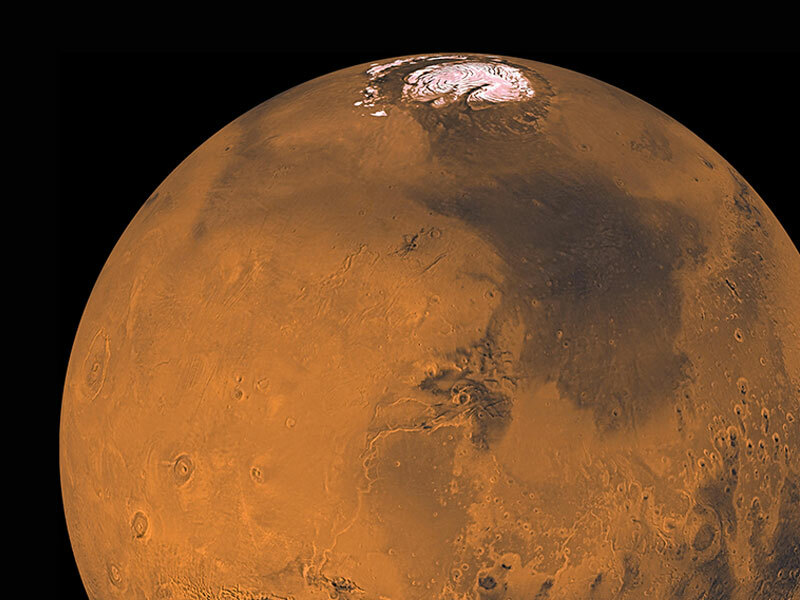 From Engineers Week to the launch of the NASA’s InSight Mars Lander, 2018 has an abundance of high-profile events that could tie into your library’s programming… and the time to start planning is now! Join the STAR Net team as we provide background information on 2018’s high-profile STEM events and unique ideas and helpful resources for integrating them into your programming schedule. Bring your questions and programming ideas to the chat box, too – we want to hear what your library is planning and what has worked successfully in the past. 2018 is the year that #STEMinLib really blasts off! 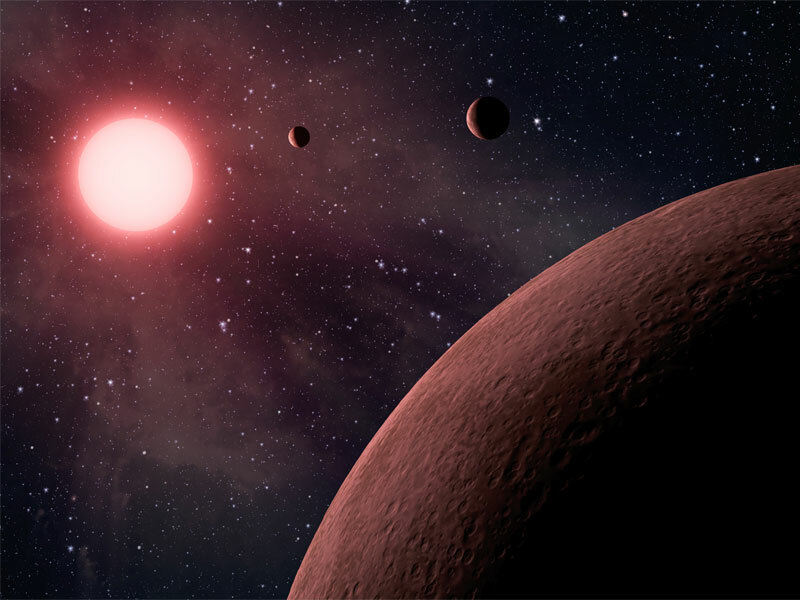 Join us to learn more about the application process for being one of eight library and museum partner sites to host the inaugural national tour of the interactive traveling exhibition Discover Exoplanets: the Search for Alien Earths. Hands-on Fun with STAR Net! 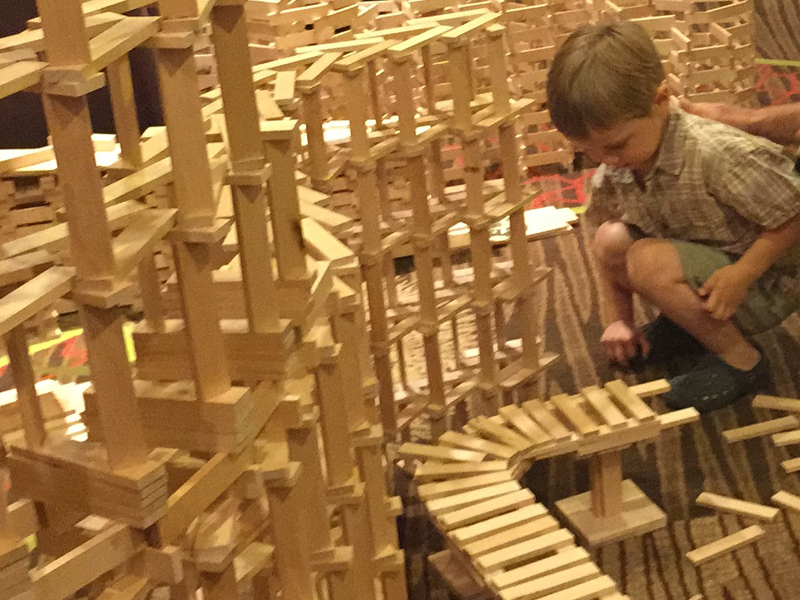 Hunting for activities for your library’s next STEM program? Look no further! Hands-on Fun with STAR Net will highlight several different hands-on activities from the STEM Activity Clearinghouse that were designed with the library setting in mind. Whether you are new to STEM programming or are already a “STEM Superstar”, we hope you will join us for tips, techniques, and loads of fun! International Observe the Moon Night (InOMN) is a worldwide, public celebration of lunar science and exploration held annually since 2010. 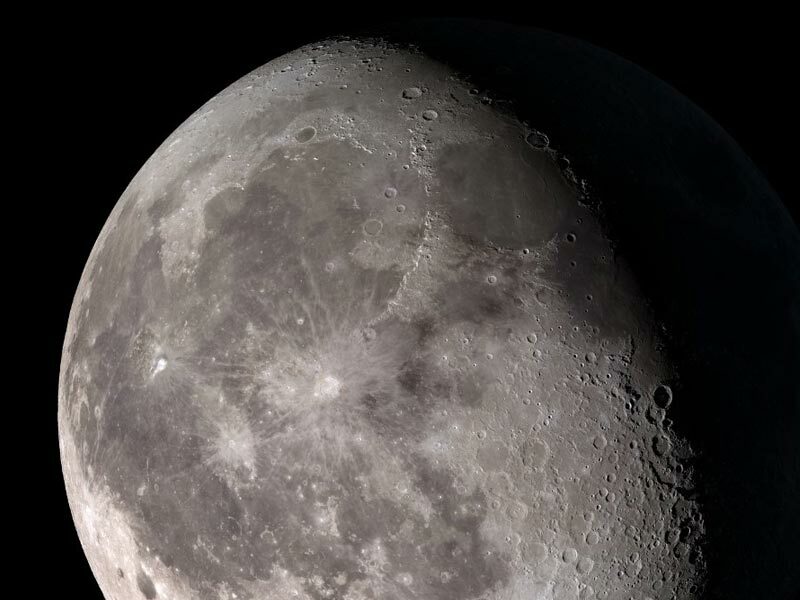 On October 28, 2017, everyone on Earth is invited to observe and learn about the moon together, and to celebrate the cultural and personal connections we all have with Earth’s nearest neighbor. Want to learn more about this event and ways that your library can participate? Join STAR_Net and Brian Day, NASA’s Lead for Citizen Science and Community Development at the Solar System Exploration Research Virtual Institute, to learn more about this exciting international event and ways to integrate it into your library’s programming! 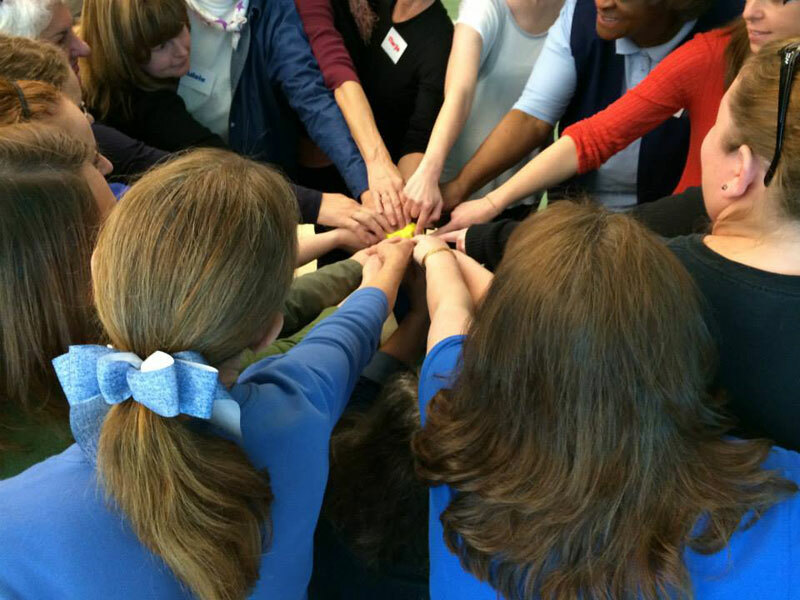 Libraries and afterschool programs make great partners. Every October, the afterschool field celebrates the important role these programs have in the lives of children, families, and communities. This year, on October 26, we want to make the celebration bigger and better than ever. Library-afterschool partnerships are an official theme of this year’s event—and we want to highlight the many ways libraries and afterschool programs are pairing up to provide engaging learning opportunities and critical supports to children and families across the country. Join us for this webinar to learn more about Lights On Afterschool, and how your library can participate. 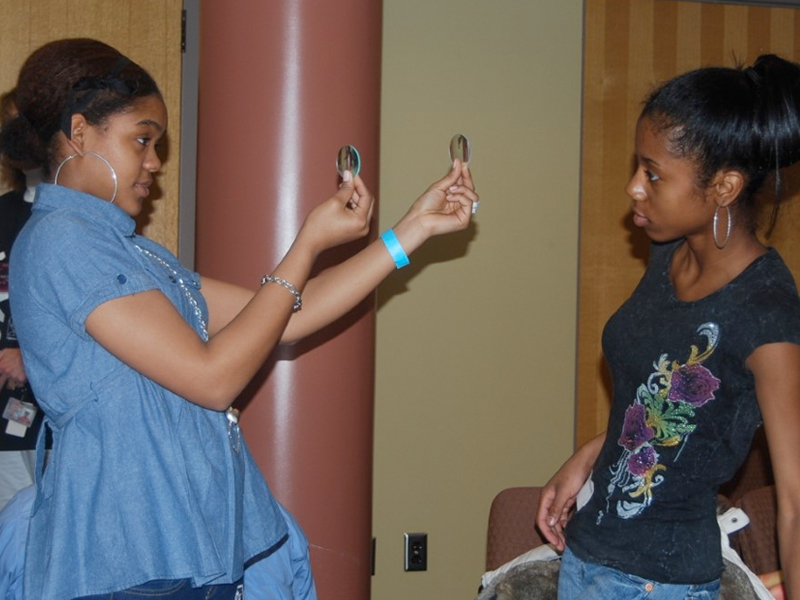 Join STAR_Net and the Lunar and Planetary Institute to learn tips and tricks from LPI’s Explore program for engaging children, tweens, and families in space science with games, activities, and events. 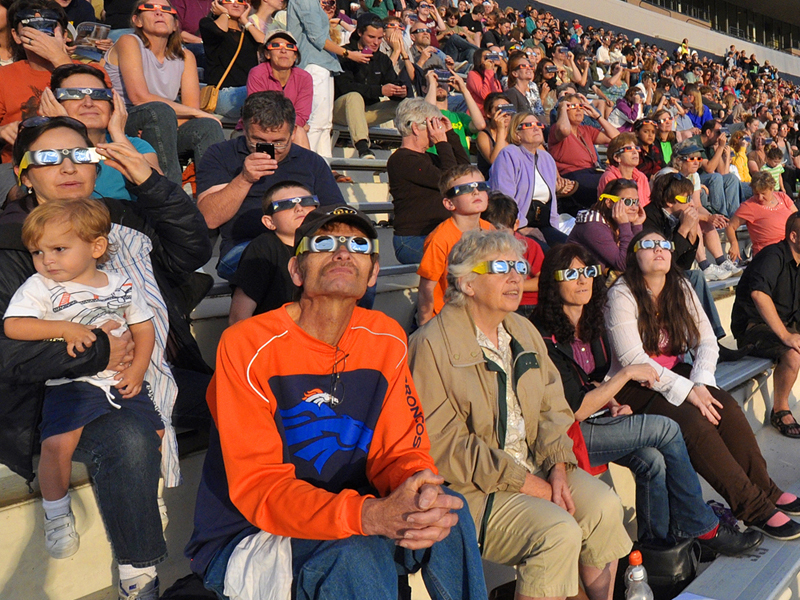 Join NCIL Staff and Doug Duncan, Director of the Fiske Planetarium at UC Boulder, to learn about ways to safely view the 2017 Great American Eclipse. Note: Please be advised that there is a very small amount of adult language in one of the videos shared during the webinar (at the 34:00 mark). The language is from the reaction of people viewing a total eclipse for the first time. While it is important to show their genuine reaction to this amazing event, the language may not be suitable for children. 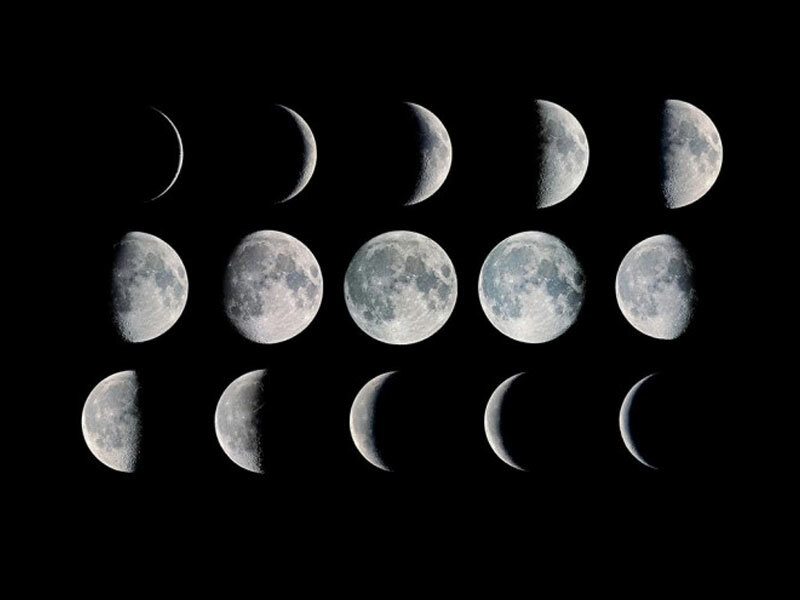 Join Isabel Hawkins, astronomer and educator with the Exploratorium of San Francisco, CA, to learn about cultural connections for the 2017 Great American Eclipse. Join us to learn more about two NASA supported volunteer networks who are eager to partner with local public libraries! 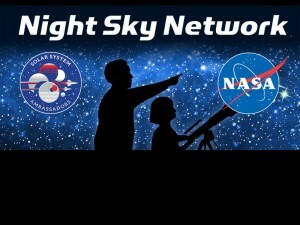 The Night Sky Network and Solar System Ambassadors are volunteer organizations who can provide free or low cost programming to libraries in their region. Members of these networks include current and former NASA employees, industry retirees (Ball, Lockheed, etc), science teachers, and other general science enthusiasts! Participants in this webinar will learn more about these networks, hear success stories from existing library partnerships, and even learn how they can join these networks. 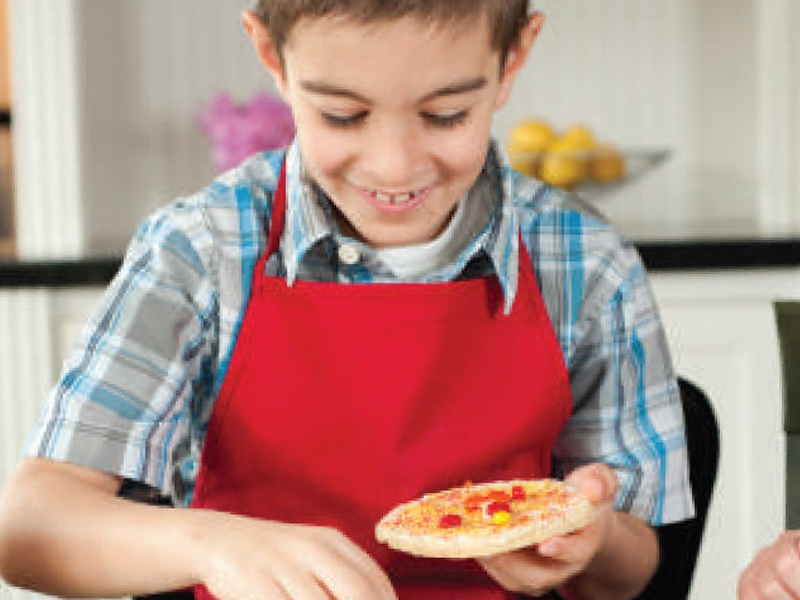 Sun Cookies are a sure crowd-pleaser — watch this webinar to see how these tasty treats can help young learners explore the Sun. Engage both youth and adults in out-of-this-world explorations of how our small Moon can eclipse the huge Sun. Experiment with integrating technology into your eclipse programs using online games as well as equipment you may already have on hand. 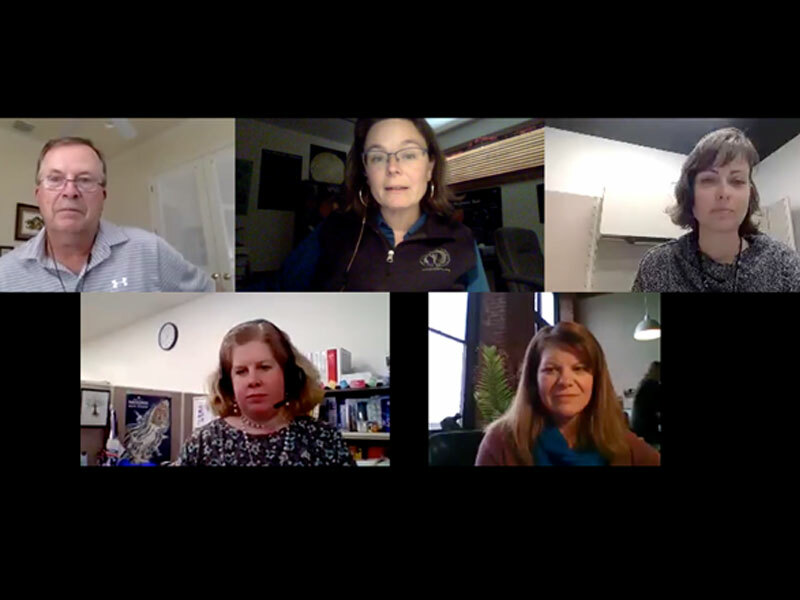 Librarians, camp programmers, and other out-of-school time facilitators are invited to join STAR_Net and the Lunar and Planetary Institute for two free professional development webinars on the STAR_Net Earth science activities. Race to dress in clothing and gear appropriate for a specific type of weather. Explore what living things need to survive and thrive by creating and caring for a garden. Discuss how your climate influences the local agriculture, then identify a type of food unique to the region and select (and possibly make) a recipe that features that ingredient. This 45-minute session will explore our watery world and changing climate with the following activities. Participants will discuss various options for implementation, and share ideas in how to best conduct these programs. Toss a soft Earth globe and record how often your thumb is on land or on ocean. Play “Ice Bingo” by finding other participants who have had the icy experiences matching those on the game cards. Play a board game in which chance and choice determine the fate of a polar bear on an ice floe. 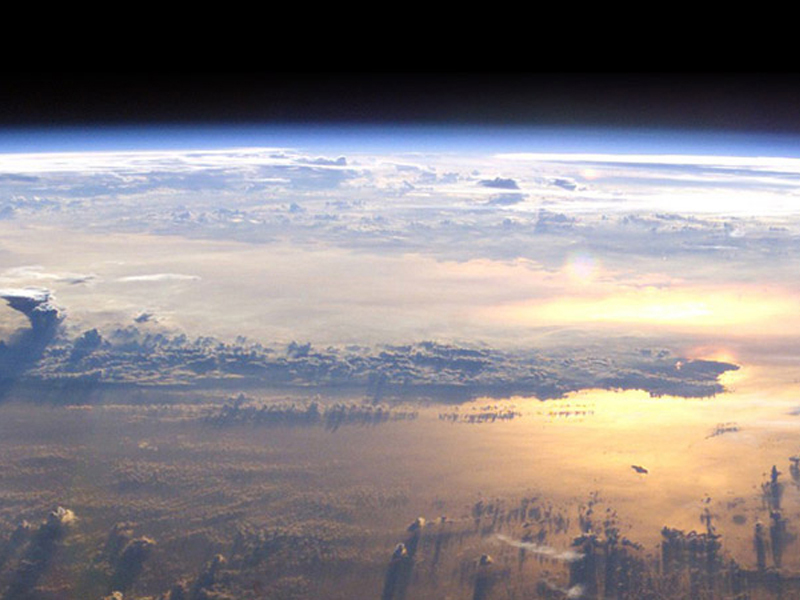 Learn how your library can celebrate our planet on Earth Day and beyond through NASA’s GLOBE Observer (GO) citizen science project. 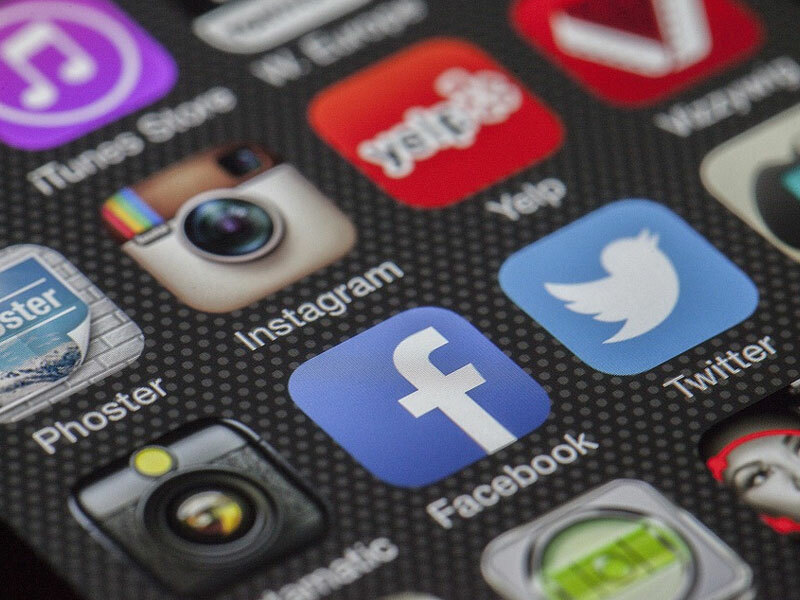 Library patrons can contribute to NASA Earth science by downloading the free GO app, observing the sky, and contributing their observations to this international program. GO cloud observations are helping NASA scientists understand clouds from below (the ground) and above (from space). Clouds play an important role in transferring energy from the Sun to different parts of the Earth system. Because clouds can change rapidly, scientists need frequent observations from citizen scientists. 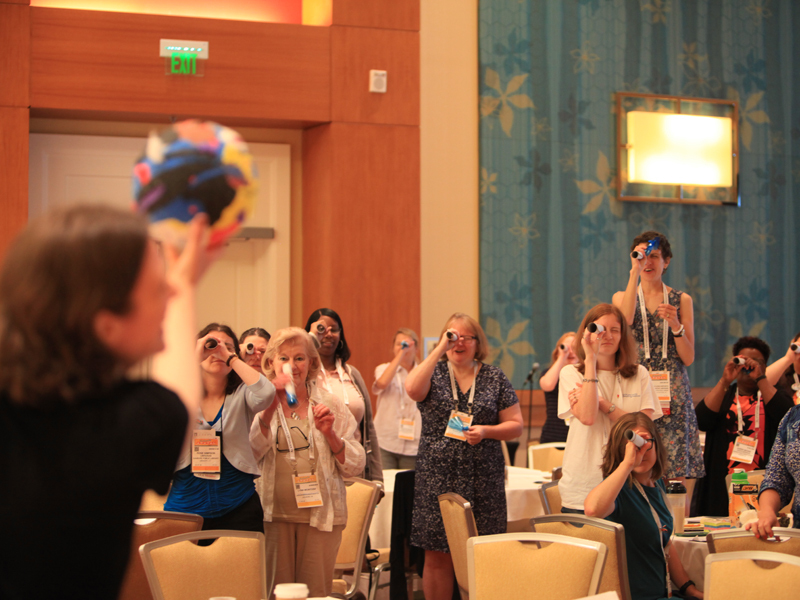 Librarians, camp programmers, and other out-of-school time facilitators are invited to join STAR_Net and the Lunar and Planetary Institute for two free professional development webinars on the Playful Building activities. Watch one or both webinars and receive connection information & directions to help you better participate in the activities during the webinar(s). This 30 minute webinar will model Team Machine, Water Wedges, and Levers at Play, as examples of simple machines that the children can plan, design, test, and revise. Elements of the engineering design process will be explored in each. Note: If you have any problems viewing the webinar, please email Anne Holland for assistance. NASA’s Universe of Learning astronomy education program is celebrating National Women’s History Month with the Girls STEAM Ahead with NASA project, which partners libraries with NASA scientists and educators to empower girls and their families in STEM! 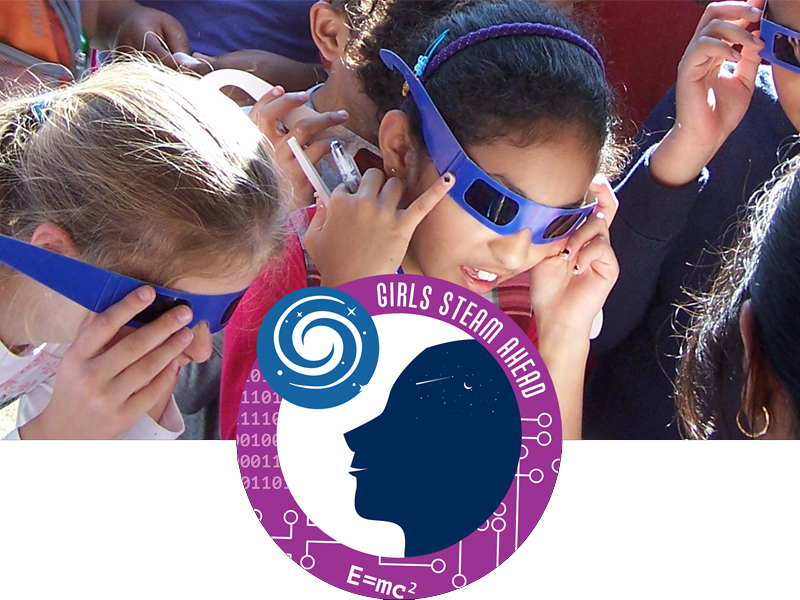 During the webinar, we will introduce Girls STEAM Ahead with NASA, discuss how to build girl-engagement into your programming, and demonstrate hands-on coding activity that uses real astronomical observations in the ways real astronomers do. We’ll also connect you to a suite of support materials, such as exhibits, activities, and even some posters inspired by the women depicted in new film Hidden Figures! Join us for exciting updates to our last eclipse webinar in October. This webinar will repeat some of the information provided previously, plus offer eclipse programming and partner suggestions. In addition, you will learn more about the enhanced opportunities to participate made available by our new Moore Foundation funding. Join us for a FREE online training in conducting a selection of hands-on engineering activities. The STAR_Net project’s Playful Building activities are designed to engage children, tweens, and families in hands-on engineering fun at the library, and they rely on inexpensive materials! Play along with us – have the following materials on hand to try the activities yourself. Engineers use their skills to solve problems and make the world a better place. 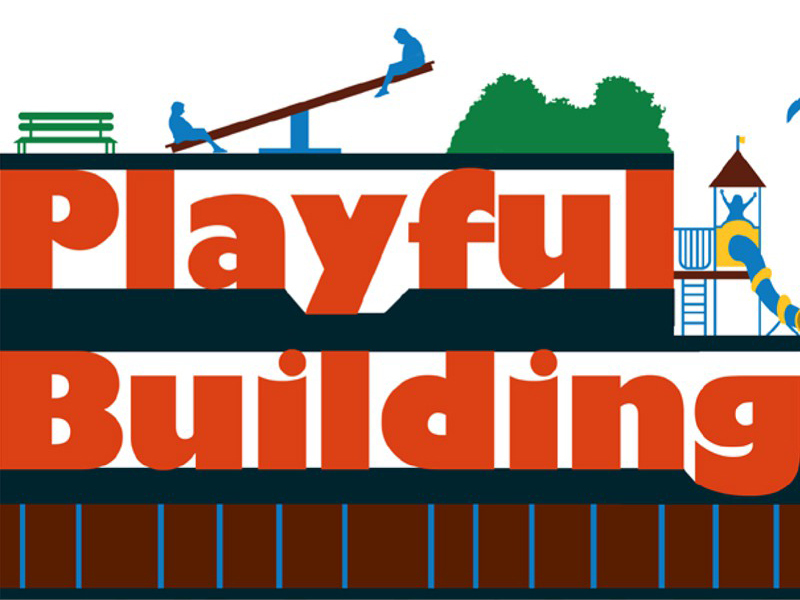 Join Jeannine Finton from the American Society of Civil Engineers as she shares a variety of hands-on engineering resources, activities, presentation tips and techniques designed to make engineering fun for all ages. Find out how to connect with local engineers who may be able to assist with a program. Science, Technology, Engineering, and Mathematics (STEM) provides a new and promising direction in public library education and programming. Yet, what do researchers suggest are promising practices for implementing STEM? What can we learn from the informal education landscape about offering such programs to youth? How can we develop and nurture STEM education and programs that can reach youth from all backgrounds? Join us for this exciting webinar that focuses on promising practices for implementing STEM in public libraries. Learn how you can build and strengthen your STEM program and apply lessons learned from implementing STEM. On August 21, 2017, we will be treated to the first total eclipse of the Sun visible in the continental U.S. in almost 40 years. The spectacular total eclipse will only be visible in a narrow band about 60 miles across, stretching diagonally across the country from a beach in Oregon to a beach in South Carolina. 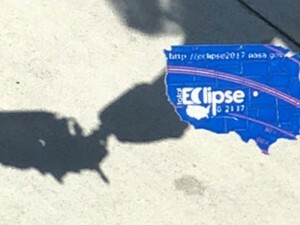 However, everyone in North America will see a partial solar eclipse, where a big “bite” will be taken out of the Sun. This will be the first major U.S. eclipse of the Internet age, and most people will need clear reliable information on when and how to observe the eclipse of the Sun safely. Astronomers are hoping libraries will play a key role in getting this information out to their communities. 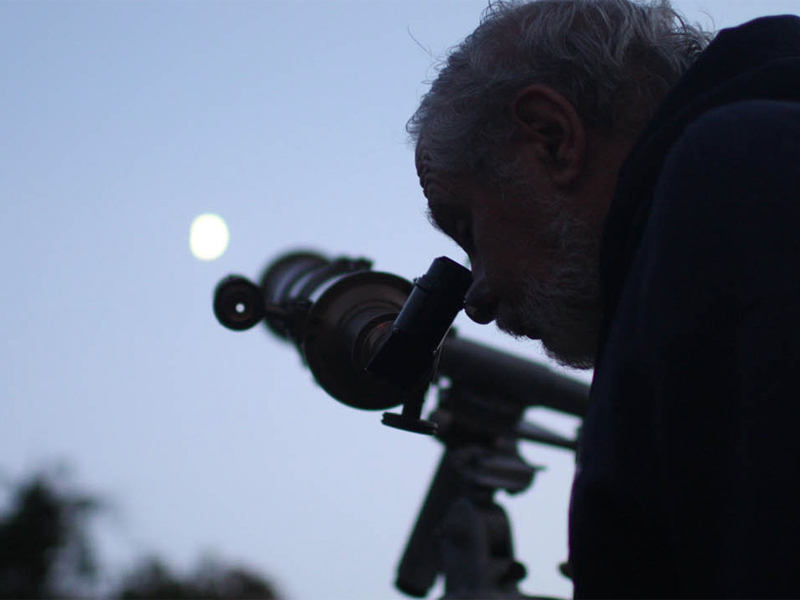 Working with astronomy groups in their communities, they could also be a central place for safe observing. 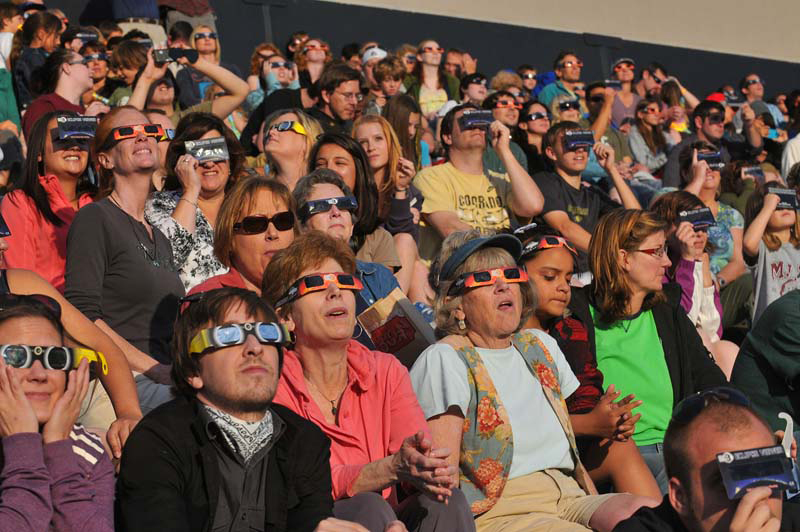 Get an early start in preparing for this eclipse, how to explain it, how to observe it safely, and what role libraries can play in organizing and informing their communities. Join us for a 45 minute webinar where you’ll get great information about the eclipse, and be able to ask questions about the role your library can play. Hosts: Dennis Schatz (NSTA, Pacific Science Center), and Andrew Fraknoi (Foothill College; co-author of a new book on eclipse education). Click here for an Eclipse FAQ sheet. Join Anne Holland (Community Engagement Manager at the Space Science Institute) for a “Grand Opening” of the two new websites. You’ll receive a tour of the new features and resources (available at www.starnetlibraries.org and www.clearinghouse.starnetlibraries.org) as well as have an opportunity to suggest new features and content. You’ll also receive information on how to register your library for the 2017 Solar Eclipse, and get some free swag! 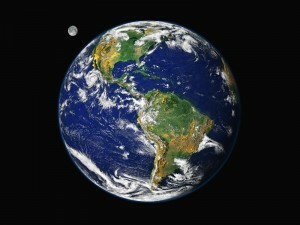 With the new GLOBE Observer app, everyone around the world can contribute meaningfully to NASA Earth Science missions. The inaugural “GLOBE Clouds” content allows users to collect data that helps scientists interpret satellite observations of clouds—a critical observation for understanding climate and climate change. 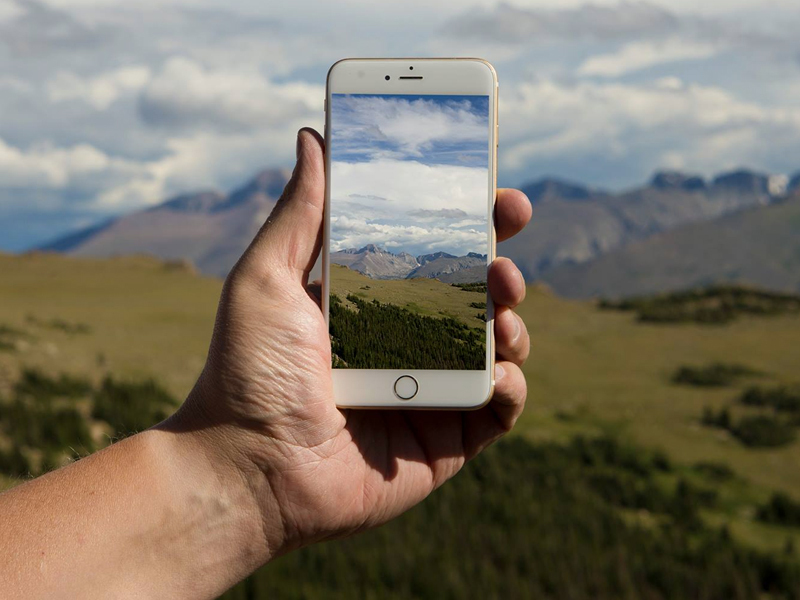 GLOBE Clouds is also a great opportunity for institutions to engage visitors and build citizen science communities.Learn how to get your institution and community involved! Project Coordinator Holli Riebeek Kohl will provide the NASA science background, introduce hands-on activities, and answer questions about the app and GLOBE Observer. The NASA Museum Alliance is a STEM (Science, Technology, Engineering, Math) community of practice. We provide libraries, museums and other informal education institutions with professional development and special access to NASA staff and materials, free of charge. For free, full access to the website, invitations to professional development telecons, the latest mission updates and more, join NASA’s Museum Alliance at https://informal.jpl.nasa.gov/museum/About/Application. 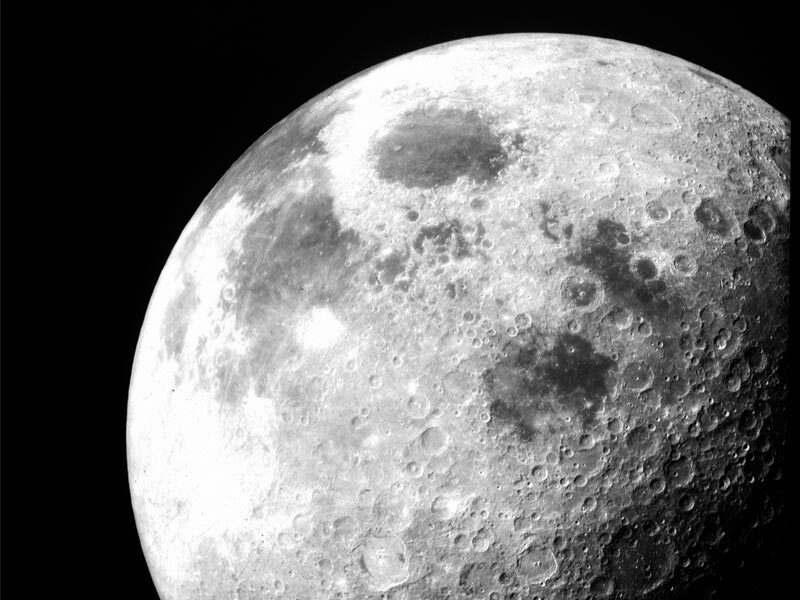 On October 8, 2016, celebrate the Moon in your community through International Observe the Moon Night (InOMN), an annual worldwide celebration of lunar and planetary science. Tens of thousands of people participate each year, from 98 countries and 49 US states (and counting!). Join this webinar to hear about hands-on activities, customizable promotional materials, and other resources available through http://observethemoonnight.org. 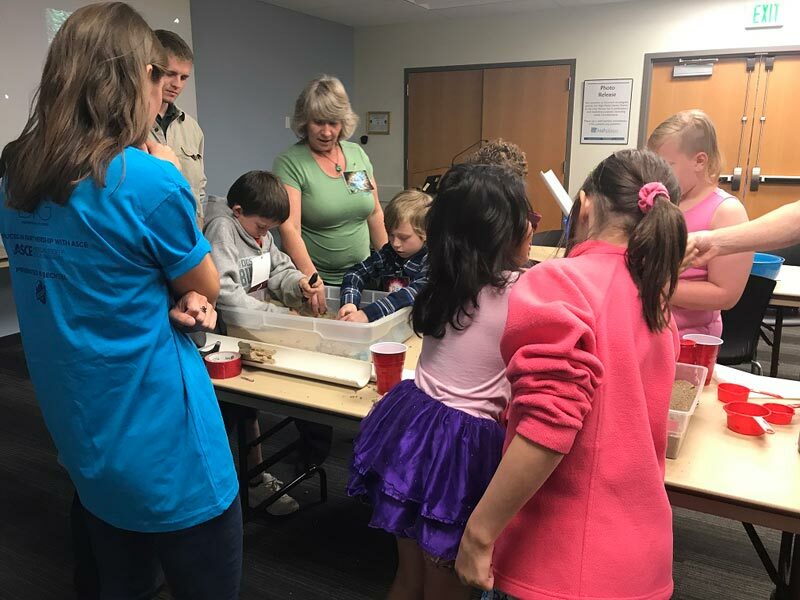 Presenter Andrea Jones, Education Specialist with the Planetary Science Institute / NASA’s Goddard Space Flight Center, will describe how you can host your own InOMN event to attract adults and children alike. Lights On Afterschool: Join the Nationwide Celebration! 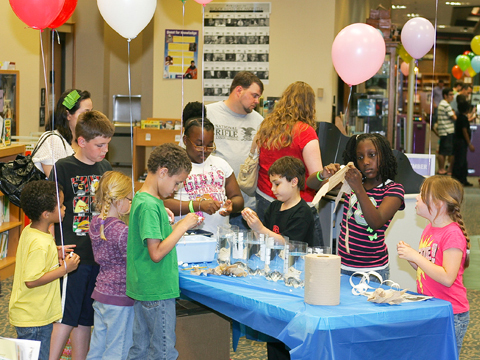 Does your library offer afterschool programming? Interested in working more closely with afterschool programs and other youth-serving organizations? 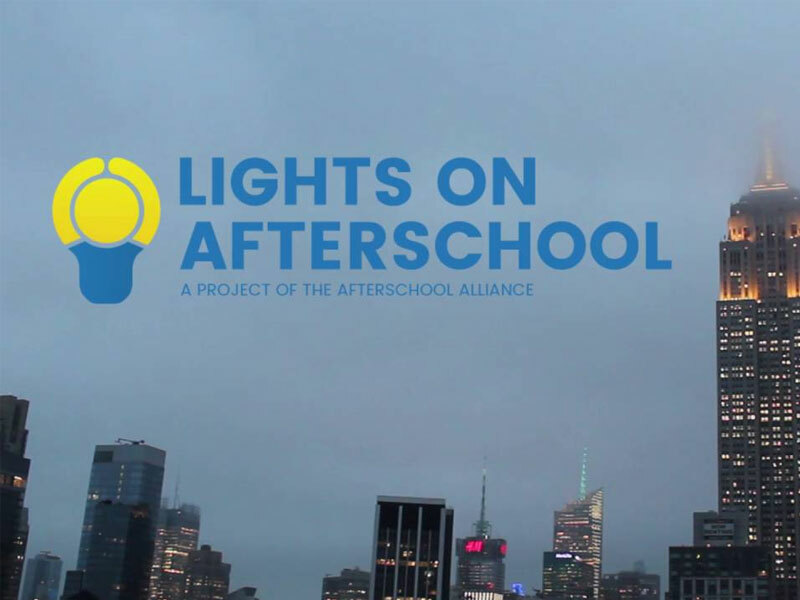 Join the Afterschool Alliance to learn more about Lights On Afterschool, the nationwide celebration of afterschool programs and their important role in the lives of children, families and communities. The event has become a hallmark of the afterschool field, every year generating significant media coverage across the country and sending a powerful message that millions more kids need quality afterschool programs. In this webinar, we’ll also talk about the potential that other coordinated national advocacy efforts might have for the library field. Communities of Practice (CoPs) are informing both research and practice of effective facilitation of library-based and online learning. IMLS presents a webinar to share new perspectives about CoPs and to explore lessons learned from a variety of organizations with CoPs, including Proliteracy, ACRL, YOUMedia Learning Labs, STAR_NET, Portland State University, and other national and state-based organizations. NSTA’s Solar Science Eclipse Guide! Join us for a 30 minute “mini Webinar” where you’ll get great information about the eclipse, and be able to ask questions about the role your library can play. Hosts: Lou Mayo (NASA’s point man for eclipse education), and Andrew Fraknoi (Foothill College; co-author of a new book on eclipse education). Click here for an Eclipse FAQ sheet. This webinar comes from a request from STAR_Net Libraries to have a Space Science primer, to help with program/activity facilitation. 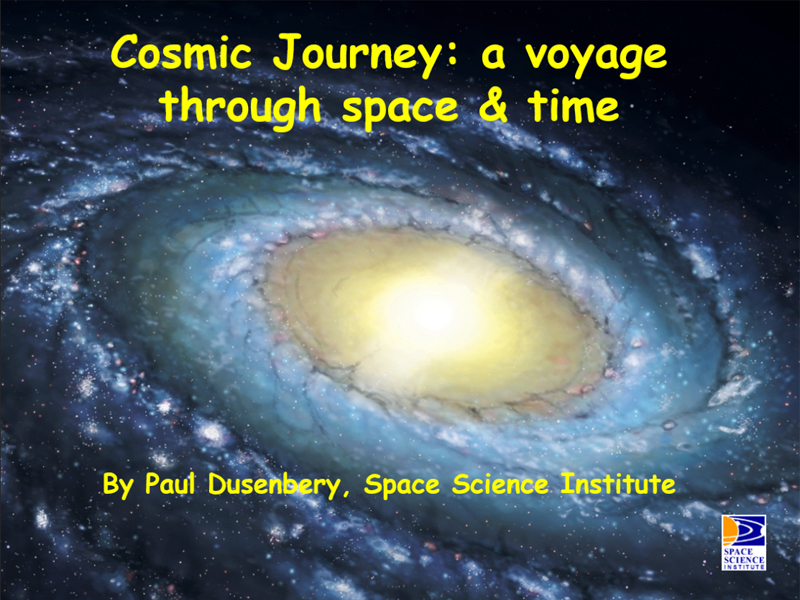 This interactive webinar will take you on a journey through our Solar System, and Beyond, providing you with the tools and knowledge to conduct your own space-based programming! High Tech vs Low Tech STEM Programming, What’s Right for Your Library? Join us for for a brief introduction to programs being conducted by libraries in Colorado, and across the country. From high-tech Maker Spaces with 3-D printers, recording studios and drill presses to paper coding activities where computers are never turned on and kids are their own programs, libraries across the country are examining what it means to “do STEM”. There’s no right answer, so join us and share your way! 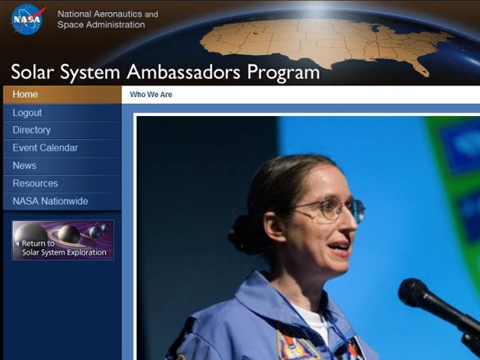 For more than 16 years, Solar System Ambassadors have been communicating the excitement of NASA’s space exploration missions and information about recent discoveries to people in their communities. These enthusiastic volunteers seek out a variety of local venues for their programs, with one of their favorites being libraries. Over the years, Ambassadors have conducted 1,697 events at libraries across the country, reaching 132,163 people directly. There are currently 702 Ambassadors in all 50 states, Washington DC, Puerto Rico, US Virgin Islands and Guam. Kay Ferrari, Solar System Ambassador Coordinator, will share how these volunteers can support your library’s STEAM activities and where you can find your closest NASA volunteer. Also joining the conversation will be Margaret S. Race, Ph.D, a trained ecologist and astrobiologist working on astrobiology and planetary protection at the SETI institute. She is a longtime JPL Solar System Ambassador, and has served on the Board of Trustees at the Lafayette Library and Learning Center in the SF Bay Area.